Katie Jamieson, Head of legal, Herschel Supply Co.
Tanya Rothe has had an interesting path on the journey D-Wave Systems has taken in its evolution over the last decade, forging ahead with its first-of-a-kind quantum computing technology. In a very unassuming building in Burnaby, B.C., Rothe goes to work each day knowing she is helping the high-tech company secure deals for its bleeding-edge developments. So far, the sales are few but mighty. One of D-Wave’s systems is currently being used at NASA and Google is a customer, too. From intellectual property issues to negotiations with customers to sell a system or setting up classified government contracts, Rothe is involved, often at the very early stages right up to the point of deal signing. She also helps them identify what inventions should be protected, even when the scientists don’t even think it’s something ready to lock down. Since she joined the company in 2005, the D-Wave management team and staff have found her to be instrumental in assisting in interpreting the technology on both the legal and business side of the work being done. Having the proximity she does to the business has enabled her to bring much of the intellectual property matters in-house, saving the company time and money but also developing a centre of expertise many companies of its complexity don’t enjoy with their legal departments. What’s interesting about Rothe and the three other in-house counsel we are profiling this year in our View 2017 series is just how much they have become conduits to innovation both inside and outside their companies. Both Maurizio Romano of Janssen and Matthew Snell of IBM now find themselves as advisers to startup organizations who, yes, may benefit from the advice provided through Janssen and IBM, but they are also encouraged to push forward based on the knowledge both of them bring to the external consultation process. Four years ago when we did the first View series in conjunction with Blake Cassels & Graydon LLP, we looked at what issues were top of mind for a cross-section of general counsel across Canada and in a variety of sectors. Then and in the years since, we have examined how regulatory and compliance matters have dominated the work agenda, along with pending transactions and the evolution of the role of in-house and the relationship with external counsel. This year, acknowledging that many in-house counsel have really evolved beyond their legal departments to not only working alongside business day to day but also the fact they are increasingly being called on to help companies innovate for the future, we conducted interviews with four general counsel about what their role has become in aiding innovation. For Katie Jamieson, head of legal at the extremely popular Herschel Supply Co. (if you don’t know it, check the backpacks your kids’ friends are carrying), the founders at her company have mandated that innovation be at the core of what they do both on the back end and outward facing to customers. With that in mind, Jamieson approaches legal matters with a non-traditional approach at all times. She sources alternatives to problem solving and looks at the company’s counterfeit product issues with the idea that the “bad guys” need to be chased down in a new way. The common theme in the stories you will read on the following pages is that they all share a passion in enabling the businesses they work for and they all identify strongly with what their organization is trying to achieve. There is no siloed identification of “the legal department,” there is really just “the business” and how to make it grow for the future. Head of legal, Herschel Supply Co.
Once you see the Herschel Supply Co. logo, chances are you will start seeing it everywhere. It seems the Vancouver-based global accessories brand can be spotted everywhere these days: on the backs of university students and in the hands of stylish urbanites everywhere. Its popular line of backpacks with the signature Herschel logo has gone through a rapid expansion since its launch in 2009. Consumers have eagerly adopted the functional lifestyle products, and it wants to be known as more than a backpack company. Herschel was founded by brothers Jamie and Lyndon Cormack in Vancouver. They named the company after the town where three generations of their family grew up. Jamieson is the only lawyer at Herschel and is the first general counsel the company has had on its team. Heading into 2017, she is busy overseeing global expansion initiatives and with that comes a lot of corporate development, M&A and investment opportunities. Her focus in private practice was on corporate commercial work, but in-house she is responsible for a wide range of matters for the company including protection of the company’s trademarks and intellectual property. Finding new ways to approach legal work is something Jamieson is challenged to do in a company that is not traditional in the way it approaches business. The company is also incorporating new subsidiaries worldwide, which allows it to connect with the end consumer in new markets such as Korea, the United Kingdom and China in new ways. One of her biggest challenges is on the intellectual property side of the business. How a company like Hershel goes about finding grey marketers has changed rapidly in the last few years. About 10 years ago, a company could confront a grey marketer at a bricks-and-mortar store and deal with it. But the Internet has changed the game so much and makes it so easy for unauthorized sellers and counterfeiters to sell knockoffs. “They can sell a lot more product and replenish product than they were before and pass on the cost savings to consumers,” she says. Jamieson has been challenged by her management team to find brand protection solutions outside the traditional legal model. And in the age of online proliferation of grey marketers, chasing them down can feel like playing a game of Whac-A-Mole. “There’s obviously a time and place for intellectual property litigation and we do use it as a tool, but it is costly, time consuming and inefficient,” she says. “By the time it gets down the chain of litigation into discovery, if they were ever to go to trial, that infringer may be scared off but 20 more have popped up. As Hershel has an intellectual property portfolio in 70 different countries, the grey-market and counterfeiting rules are different in each country. That means Jamieson relies on good external counsel in Canada and foreign associates worldwide to advise on the matters they have. Herschel uses a third-party service provider called NetNames that monitors online marketplaces and social media sites using algorithms that crawl the web looking for specific trademark search and logos. Their tools locate unauthorized product sales all over the world in online marketplaces such as Amazon, eBay and Chinese marketplaces such as Taobao. NetNames searches the Internet and finds the fake product. It then provides people who are dedicated to the brand for a certain number of hours per week to go through the enforcement and takedown process for the company. In the U.S., there are also legal service providers who work on contingency to find fake domain names that use trademark phrases in the domain name selling counterfeit goods. They keep them in a portfolio and litigate them all at the same time, about once a quarter or once a year. They take them to courts in the U.S. and the courts will award damages. Herschel has been working with a law firm in Chicago on the preliminary searches on Herschel-related counterfeit domain names, but they aren’t yet at the point where they have filed any actions. “Sometimes, it’s a bit of a misnomer because the damages awarded can be high and so good luck in enforcing the judgment, but they have been successful in freezing their PayPal accounts and taking an accounting of profits,” she says. When Tanya Rothe joined D-Wave Systems 11 years ago she was advised to keep a low profile and focus on managing the patent work for the startup company based in Burnaby, B.C. The rest, as they say, is history. Over the years, in a culture of high-tech thinkers in an area of development in which few are working, Rothe has demonstrated her ability to cut through the complicated and help translate it all into value in the big deals on which the company has been involved. D-Wave is the only company in the world that has made and sold quantum computers commercially. Its customers include global aerospace company Lockheed Martin, Google, NASA and the Los Alamos National Lab. The company’s computers harness quantum physics to perform calculations not possible on regular (classical) computers. As Rothe explains, important problems are getting too big for regular computers. Designer drugs and machine learning require a higher level of computer power. At the same time, classical computers are starting to reach their limits. “We are approaching the end of Moore’s Law,” she says. In a regular computer, information can be stored in bits as 0 or 1. Quantum computers use quantum bits that can be 0 and 1 at the same time, which means they can effectively process exponentially more information than a regular computer. “We believe our computer will allow people to do machine learning in a completely different way,” says Rothe. To help manage the complex deals into which D-Wave is entering, it has two lawyers on staff — Rothe and a second person covering intellectual property who also is a patent agent. A third member of the team has a computer science background and is training to be a patent agent. “I’ve found it’s a lot easier to teach someone how to draft a patent who already understands our technology than it is to train a lawyer who doesn’t understand the technology,” she says. Rothe is a registered patent and trademark agent. Before law school, she obtained a Bachelor of Applied Science degree in chemical engineering at the University of British Columbia. After law school, she clerked for Chief Justice Beverley McLachlin. 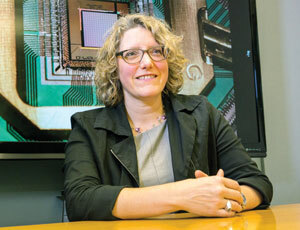 Prior to joining D-Wave, she managed IP for Ballard Power Systems. She is also licensed to practice law in California — something she thought would be helpful in doing negotiations with U.S. customers. “Over time, what I’ve tried to do is become an ombudsperson as opposed to being a lawyer. The approach I try to take is to not be the department of ‘no.’ I try and think about how I can make a person’s job easier. I try and figure out if there are creative alternatives. I try not to be so much a lawyer and recognize it’s a business decision being made,” she says. In the D-Wave environment, Rothe knows her positions will be challenged. “Everything you do here is questioned, not in a bad way, but you have to be willing to be questioned and this is not a culture where advice — whether it comes from legal or accounting — they don’t see you as some kind of oracle,” she says. For Rothe, the goal is to provide value and make the lives of her D-Wave colleagues easier. When D-Wave did its first sale with Lockheed Martin, Rothe didn’t have the ability to use outside counsel to draft all documents. Instead, she took a lot of time researching and made her own draft agreements. “When we’ve done these big deals, I’ve been involved in all of them and went with the sales team to negotiate them,” she says. The first deal D-Wave did involved Rothe, the CEO and the sales leader. “My team wants me to be there,” she says. Where she brings added value now is helping to identify and protect the company’s intellectual property before the inventors even think it is important to do so. D-Wave scientists have hundreds of developments a year because they are on the bleeding edge of technology. “We can’t file hundreds of patents a year so my team looks at how we can put it together and get the right mix of strategic claims,” she says. Rothe’s team will do an initial draft in-house and 90 per cent of the cases that get filed are done in-house. “We have a weekly meeting of the technology leaders and I go to those meetings and talk about what’s going on. If we’re talking about different strategies and should we partner with certain people, in terms of deciding what is our business approach, I’m definitely involved in that,” she says. Director of law, Janssen Inc. The in-house legal team at Janssen Inc. is getting an injection of entrepreneurial spirit these days as it supports the work going on at Johnson and Johnson’s innovation project, JLABS. JLABS came into existence in 2012 and the Toronto location opened last year. Maurizio Romano, director of law at Janssen Inc., the pharmaceutical company of Johnson and Johnson, is playing a key role in helping startups currently using JLABS to find their way in the innovation space. There are three lawyers, one law clerk and an executive assistant in the Janssen legal department, part of the global law department for Johnson and Johnson. Romano and the legal team based in Canada support the Canadian business, but they are also part of the larger global law department. JLABS is a Johnson and Johnson innovation — an incubator to support entrepreneurs. It is a collaboration with the University of Toronto, the Ontario government, MaRS Discovery and the large hospitals in Toronto. Romano was part of the team that negotiated the arrangement. The Toronto JLABS location is housed at the MaRS Discovery district. Outside of Toronto, the other JLABS are located in San Diego, San Francisco, Boston and one in Houston. Even though he is based in Canada, Romano provides support to the program globally. His full-time responsibility is to Janssen Canada where he supports the immunology and oncology business in Canada. But he is enjoying the time he is dedicating to JLABS. One of the things JLABS has done a lot of is quick-fire challenges — basically a Dragon’s Den-like challenge where people can submit their ideas and if selected are given lab space at JLABS for free. In setting up the challenges, Romano is involved in reviewing the terms and conditions. “We just did one called World Without Disease — a global challenge — and the winner could receive a cash award and/or a choice of lab space at any JLABS location,” he explains. Romano says it’s about trying to encourage an innovative environment to find the next cure or next great invention. In the past, companies typically tried to do inventions in-house. Another interesting project the legal department is involved with is a Startup Immersion Pilot. “We realized there is a lot of what entrepreneurs bring to the table in terms of energy and vitality that could be good for lawyers to be exposed to as well,” he says. The lawyers share their experience dealing with venture capitalists or investors — providing some perspective on what a company like J&J would look for when deciding with whom to collaborate or invest. Romano has also helped put together a series of “Let’s talk legal” workshops rolled out in partnership with an external law firm, on issues such as business issues, protecting intellectual property and venture financing. It is designed as a course presented in collaboration with Johnson and Johnson Innovation. “It’s not a typical role for an in-house lawyer chatting with startups and giving general advice,” he says. Many general counsel will tell you these days that they are moving closer to the front lines of business all the time. Once part of a legal department set off from the rest of operations, they are now often embedded, seen as key players in actively assisting in propelling business forward day to day. Matthew Snell has seen that happen, especially so in the last few years as IBM’s business moves toward a more agile economy where clients need faster response times to what their own businesses demand in order to stay competitive. Snell, who is general counsel and secretary for IBM Canada, is part of an integrated global team at the IT giant. The legal team for IBM in Canada includes 27 people, many focused on customer-facing transactions. Snell has been with IBM for 17 years and in that time his role within the business has changed dramatically. “When I think back to the work I did when I started, it was very transaction oriented. The traditional outsourcing of large customers — traditional transactions with volumes of documents to sift through with external counsel on the other side — it was not dissimilar to large M&A transactions,” he says. “Our role has evolved now to be a little closer to the business and to the solution elements because we’re moving through this transformation into the cognitive and cloud platform space,” says Snell. Key areas IBM is focused on now include strategic initiatives around the cloud, data analytics, mobile, social and security — all focused on enabling the digital enterprise and where clients want in these areas. 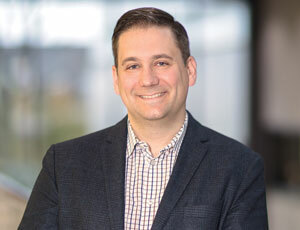 “We are very focused on the continuing evolution of our cloud platform position — the whole cloud model is key to our transformation, and the other is more unique to Canada in that we’ve been very active in creating innovation hubs across the country, which are designed to support the core innovation in our company or with partners and/or our clients,” says Snell. Over the last 10 years, IBM has provided half a billion dollars of in-kind expertise and technologies contributed to support these innovation hubs. It announced one in September — an incubator at IBM’s 185 Spadina location in Toronto focused on helping startups get on their feet and evolve into successful innovation companies in Canada. Another was announced in March in Hamilton, Ont., which is an initiative with Hamilton Health Sciences Centre that is all about exploring cognitive computing and advanced analytics to support researchers and clinicians in the health field. In February of 2016, IBM partnered with the province of Ontario to launch an incubation initiative to bring IBM’s Watson technology to small and medium enterprises and startups to kick-start their ability to innovate. The legal team at IBM is very involved with the sales team to help facilitate transactions with the clients,” says Snell. “One of the challenges we have in the IT industry in Canada is we’ve moved from bespoke IT services, customized on premises, to this idea of a standardized cloud-based service world — lots of options but standardized options. We work both internally and with external customers to try and help educate and create and craft the right contractual frameworks to support that model,” he says. Working with the innovation hubs is a different role for Snell. “Those can often be a joint effort with government or government-like entities or commercial partners where we are working with the teams to craft often one-off arrangements, to support the creation of the hub and how it will be governed,” he says. He has also been called in as a subject matter expert at external events in the industry. 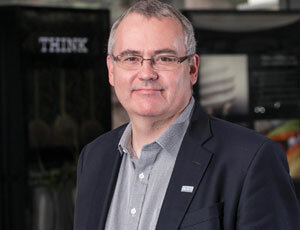 He was involved at the University of Toronto when a computer science class was working on developing software products based on the cognitive computing Watson platform, particularly within the legal industry. It’s a product that can cut legal research time and make the industry more efficient. “It’s an example of how the team can get pulled in in an unusual way because we have a set of expertise relevant to the product set,” says Snell. As a lawyer in IBM, Snell says he can give a “thoughtful view” as a skilled practitioner in core legal areas. “It also allows us to be good analytics people, good communicators and good readers and we are being called on to help internal and external clients move through this transformation maybe more than we were before,” he says.